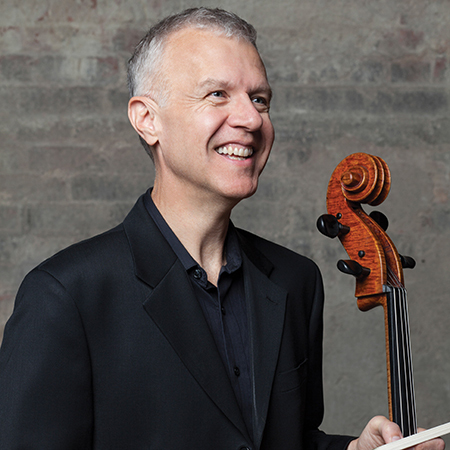 Charles Inkman*, born in Vancouver, is a long time member of the cello section of the Vancouver Symphony Orchestra and has played with Joe Trio since 2006. He is a graduate of UBC where he received his Bachelor of Music in Performance under cellist Eric Wilson. Charles conducts the North Shore Chamber Orchestra and recently conducted the premiere performance of Cameron Wilson’s Salmon Symphony in Smithers, B.C. Charles began studying piano at age 3 and cello at age 8. His teachers include Eleanor Patch (Harkness), Sydney Keates, Jack Mendelsohn and Eric Wilson. He had early training with the Vancouver Youth Orchestra and Delta Youth Orchestra and spent summers with the National Youth Orchestra of Canada. Chamber music training included spring and summer sessions at the Banff Centre. After receiving his undergraduate degree, Charles began to play as an extra with the VSO and then won a section chair shortly after that. He played for many years as a member of the now defunct CBC Radio Orchestra. Since 2006 Charles has played in Joe Trio. On the side, Charles is hired to record movie scores and play with visiting Broadway shows and pop artists.